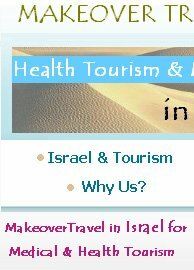 Makeover Travel specialists have expertise and experience in correcting moderate to severe teeth and jaw disorders in children and adults. Orthognathic surgery, a combination of jaw surgery and orthodontics, can remedy "toothless" or "gummy" smiles, deficient chins, protruding underbites and overbites, and other problem areas of the face including lips, neck, nose and cheeks. Our medical center treats hundreds of patients with jaw disorders every year and has one of the country's largest groups of academic surgeons. Orthognathic surgery focuses on improving the patient's appearance as well as the functionality of the jaws and teeth. Functionality is increased when teeth fit together firmly, making biting and chewing food easier. Surgery also alleviates the grinding and pressure associated with most oral disorders, and prevents further damage to the affected teeth. Having the jaws in proper alignment also reduces the chance of developing disease or deterioration in the surrounding joints. Patients also enjoy an enhanced facial profile, since oral disorders frequently affect facial balance and aesthetics. Most cosmetic procedures can be completed during the same surgery as the jaw alignment(s). Depending on the needs of the patient, surgery is performed on the upper jaw (maxillary osteotomy), the lower jaw (mandibular osteotomy) or both. Surgery is completed entirely inside the mouth, leaving no scars on the chin, jaw or around the mouth. 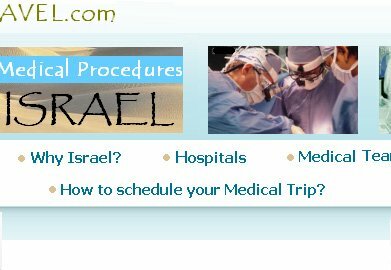 MAkeover Travel specialists have significant experience treating disorders of the temporomandibular joint (TMJ) in adults and children. Our centers use a multidisciplinary treatment approach. Oral and maxillofacial surgeons try to find the best treatment possible for every patient, often working with specialists from pain management, neurology and physical medicine. 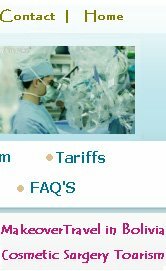 An evaluation begins with a thorough medical history to learn about symptoms and related medical conditions. A physical exam is performed to determine whether the problem is caused solely by the TMJ. This exam can include a complete oral, head, and neck exam (including testing the patient's bite and range of motion in the joints), a neurological exam (used more frequently for patients with severe or chronic pain), and basic X-rays, CT scans and magnetic resonance imaging, as needed. Treatment options include anti-inflammatory medications, minimally invasive "joint flushes," (arthrocentesis) and various types of TMJ surgery (arthroplasty). 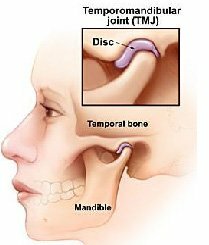 The temporomandibular joint (TMJ) is located just in front of each ear, where the lower jawbone (mandible) connects to the skull. This "ball and socket" joint allows the jaw to move up and down, from side to side, and in complex circular motions. The TMJ helps people eat, swallow and speak, in addition to supporting the jaw. TMJ function can be affected by disease (infection, rheumatoid arthritis), injury, general wear and tear, and congenital abnormalities (people who are born with a deformed TMJ). All these events can lead to potentially significant pain and difficulty in opening and closing the jaw. Both the "ball" (condyle, or end of the jawbone) and the "socket" (articular fossa, formed by the surrounding temporal bone) can be affected. The small piece of cartilage that acts as padding between these bones (the disk) can also become damaged or displaced due to constant use or other conditions. When the TMJ components become damaged, causing the once smooth and lubricated joint to lose its flexibility and range of motion, this results in problems opening and closing the jaw, eating, speaking and other facial movements. Symptoms can include moderate to severe pain, and popping or grinding noises. This procedure is used for patients with a receded or deficient upper jaw, as well as patients with an open bite (apertognathia). When operating on the upper jawbone, cuts are made below both eye sockets, so the entire top jaw, including roof of the mouth and all upper teeth, can move as one unit. The teeth and jaw are moved forward until the teeth are in a position that allows them to fit firmly with the bottom teeth. Once the jaw is realigned, tiny screws are used to hold the bone in its new position. These screws are smaller than a bracket used for braces, and become integrated into the bone structure. This procedure is typically used for patients with a receded lower jaw or an open bite. When operating on the lower jawbone, the cuts are made behind the molars and lengthwise down the jawbone so the front of the jaw (teeth and all) can move as one unit. Once completed, the jaw slides smoothly to its new position, and screws hold the jawbone together until it heals. A severely receded lower jaw is often accompanied by a deficient chin, which can be remedied with cosmetic surgery. Typically, surgeons can alter the jaws and restructure the chin, if needed, during the same surgery. Apertognathia is a condition patients are unable to properly use their teeth due to the significant oval-shaped gap between the upper and lower teeth in the front. This gap results from excess bone growing only above the molars. What is normally a flat, even surface, is now angled so the upper teeth do not touch when the patient bites together. To remedy this condition, surgeons shave away or completely extract the excess bone.